Spending an ultimate spring vacation is such a wonderful time for families and friends who want to enjoy great outdoor adventures in Branson. Your spring vacation in Branson will provide you more fun if you can have the opportunity to rent a boat and explore the beauty of the lakes. The pristine waters of Table Rock Lake, Lake Taneycomo, and Bull Shoals Lake are a perfect vacation destination spots during spring season as these areas offer many exciting water activities and many great outdoor adventures in Branson. The tri-lakes area offers world-class water adventures that include swimming, wake boarding, scuba diving, water skiing, boating, and much more. The lakes in the tri-lakes area all feature beach resorts waiting for those who love swimming and other water fun activities. The resorts and marinas in all the three lakes all feature an array of boat rentals including bass boats, pontoon boats, ski boats, and wave runners. As Branson is beautifully connected with the three lakes, it makes the place the best vacation destination during spring season. The tri-lakes area is considered by many visitors as a great vacation destination to enjoy outdoor adventures in Branson. As boating is one of the premier water sports adventures in Branson, many of the boating enthusiasts who don’t own a boat, can actually enjoy ultimate spring vacation as they have the chance to avail boat rentals that they can find at State Park Marina, Lake Taneycomo Boat Rentals, and at Indian Point Marina. State Park Marina has got everything on the water, including boating, parasailing, and daily cruises on The Spirit of America, a 48-foot sailing catamaran. 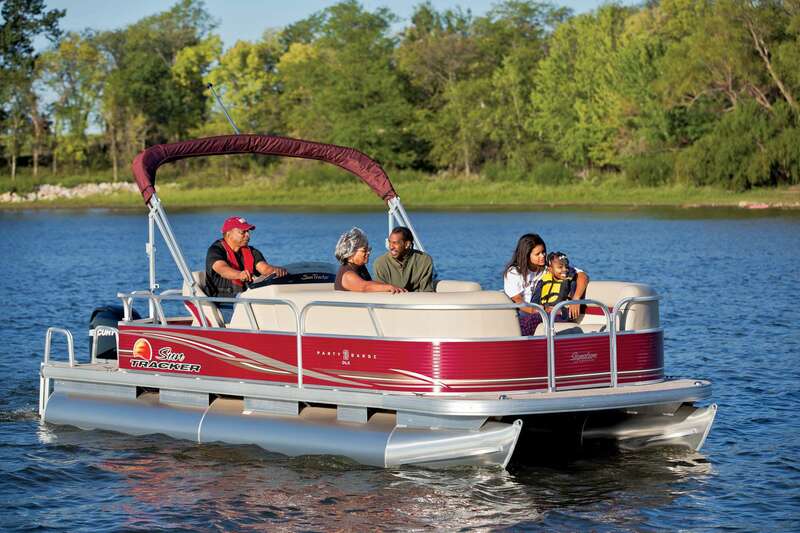 For your boating adventure on the lake, you can rent different kinds of boats such as wave runners, ski boat, pontoon boat, bass boat, and much more. Lake Taneycomo Boat Rentals is another boat rental operator that offers a safe, clean, easy and reliable boat rental service. Why take a hard time bringing your own boat, hauling it in and loading it back. Here you can rent different kinds of boats such as Jon boat, bass boat, and pontoon boat. You can also grab a bait, tackle, snacks and drinks. If you want to experience a unique water adventure, try water craft with paddles. Lake Taneycomo has boat rental marinas that include Lilley’s Landing and Trout Hollow where you can rent a small yacht or sailboat. Indian Point Marina is another full service marina in Branson that offers numerous amenities on the water. As a vacationer, you will be pleased with their wide selection of rental craft which includes tri-toons, pontoons, deck boats, skiboats and waverunners. This marina also has a gas and pump station, a tackle store complete with live bait, fishing licenses, groceries and camping supplies. When you feel hungry, this marinas has a floating cafe that offers full menu of breakfast, lunch and dinner. So, if you want to experience a fascinating outdoor adventures in Branson, rent a boat and enjoy an ultimate spring vacation.